We are proud to be founding members of the American Meishan Breeders Association. 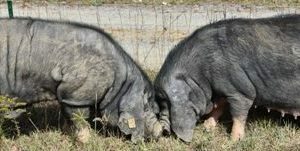 Because it is the only active registry for Meishan Pigs recognized by the Livestock Conservancy. Here are three short videos on the Meishan Breed that we did for their YouTube Channel.